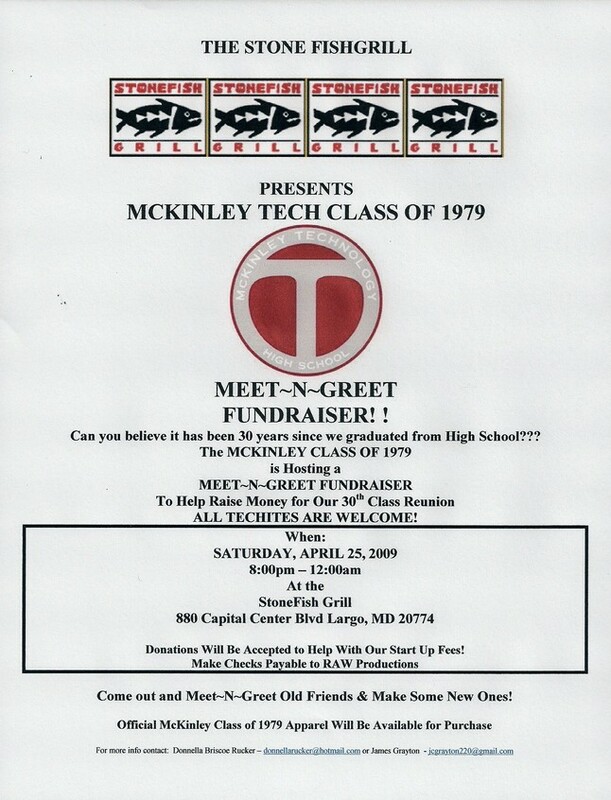 On February 12, 2009, Donnella Briscoe Rucker emailed alumni of the McKinley Tech Class of 1979 to initiate planning for the 30th reunion. The first planning meeting was held on Saturday, February 28, 2009 in New Carrolton, MD and was attended by thirteen people. Everyone became acquainted with each other and discussed how it was hard to believe 30 years had passed since high school graduation. They also discussed how great they looked even though they were fast approaching the age of 50. After the small talk was finished, the group got down to business. 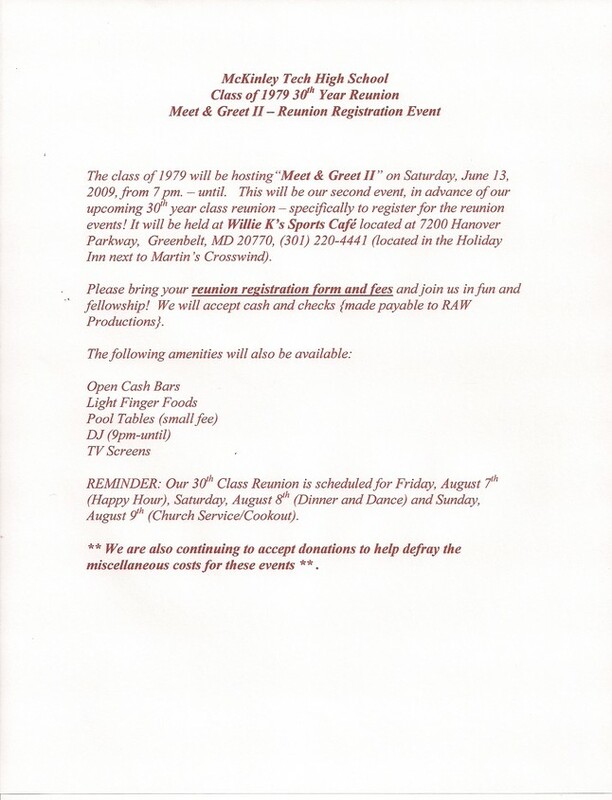 It was decided the reunion would take place the 2nd weekend in August and would consist of three events: Happy Hour, Dinner/Dance and Church Service/Picnic. The Reunion Planning Committee was established and the hard work began. The Reunion Planning Committee met almost every weekend from March through August. Many of the subcommittees met during the week, held conference calls and exchanged numerous emails. As with any large group, on some occasions there were some disagreements and misunderstandings, but the committee remained committed to stay focused on the main goal: to make the 30th reunion a very memorable occassion. 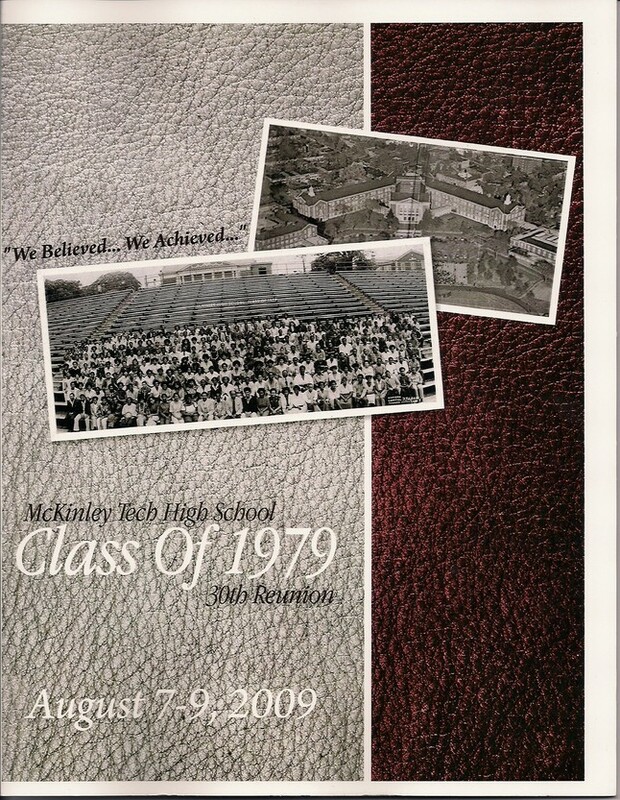 The McKinley Tech Class of 1979 website was created to serve as the main forum for all communication regarding the class. 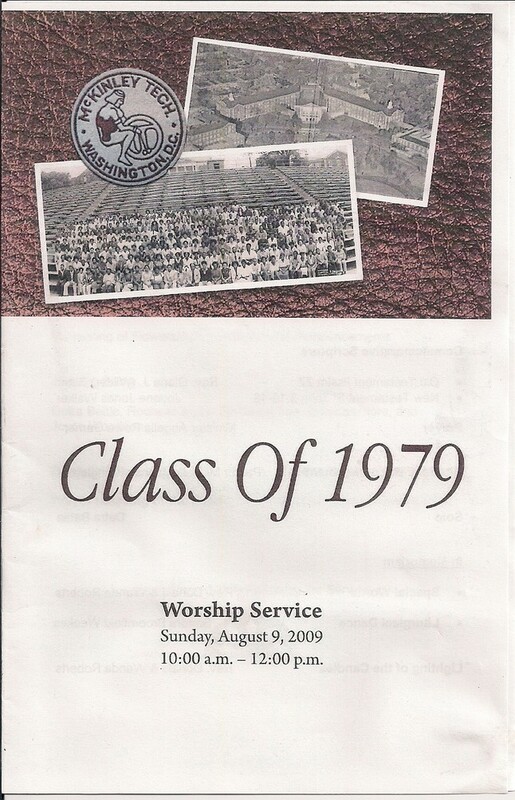 Classmate Profiles were created for over 700 individuals who were seniors during the 1978-1979 school year and Guest Profiles were created for former faculty and staff. Committee members shared their memorabilia and the website began to take shape. Classmates and faculty/staff updated their profiles and reconnected with old friends. They shared stories, photos and favorite memories about their time at McKinley. Everyone was happy and proud to read about how classmates’ lives had changed so much since leaving McKinley. They were saddened to learn of the passing of many classmates and faculty/staff. 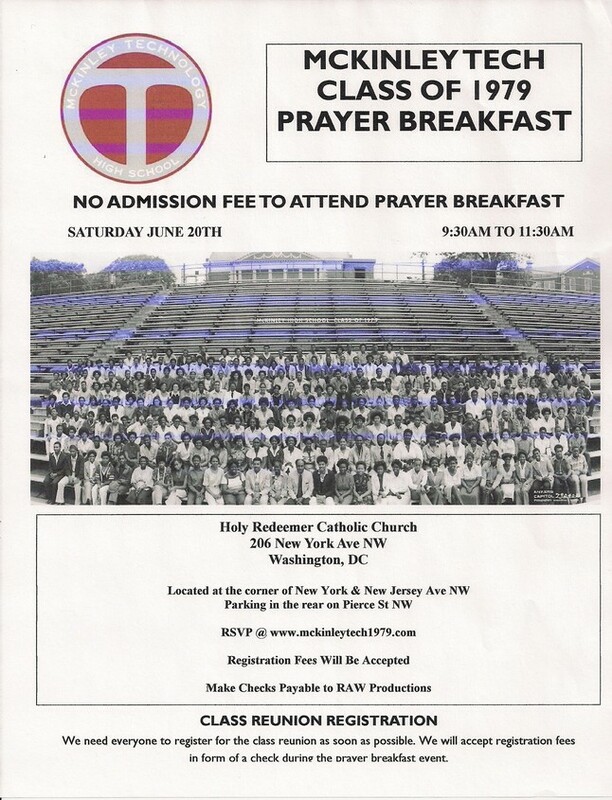 Several Registration Events were held to allow alumni to reconnect, register for the reunion and make donations to help defer reunion start-up cost. The week of the reunion was here. The Reunion Planning Committee met one last time to discuss the final details and complete the preparations. Finally, reunion weekend was here. 20th and Franklin Street, N.E. As the Reunion Weekend came to an end, everyone returned to their daily routines with smiles on their faces and joy in their hearts. 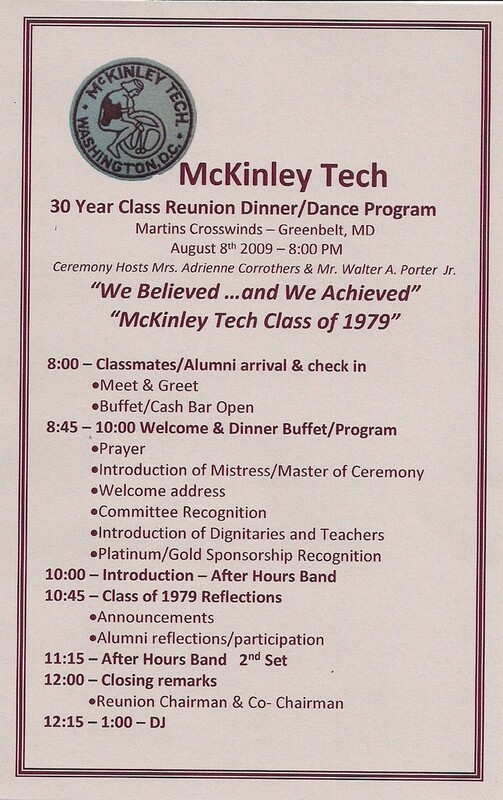 They felt proud to be a member of The McKinley Tech Class of 1979. We Believed ... We Achieved!!! !